SMS is quickly becoming the communication channel of choice for many customers. 98% of adults 18 to 29 in the US on a device capable of sending and receiving a text message. As a communication channel, it’s a quick, easy, familiar, and fully integrated on almost every phone. As consumers are becoming more accustomed to communicating via quick text messages, they are beginning to expect to be able to text with a business in the same way they can text with a friend. In fact, more than 50% of consumers would rather text for customer support than call, if given the option between the two. That would seem like a given, considering how much we all hate sitting on hold waiting. For support organizations, SMS is an efficient channel because it’s text-based. This means that an agent can handle multiple inbound tickets at the same time (instead of just one at a time for phone) and teams can also take advantage of automation through chatbots to quickly answer FAQs and properly route chats to the best team based on the context of the question or issue. One of the biggest challenges faced by support teams when using SMS as a channel is how they get their customers to know that they have a number to text when they need help. 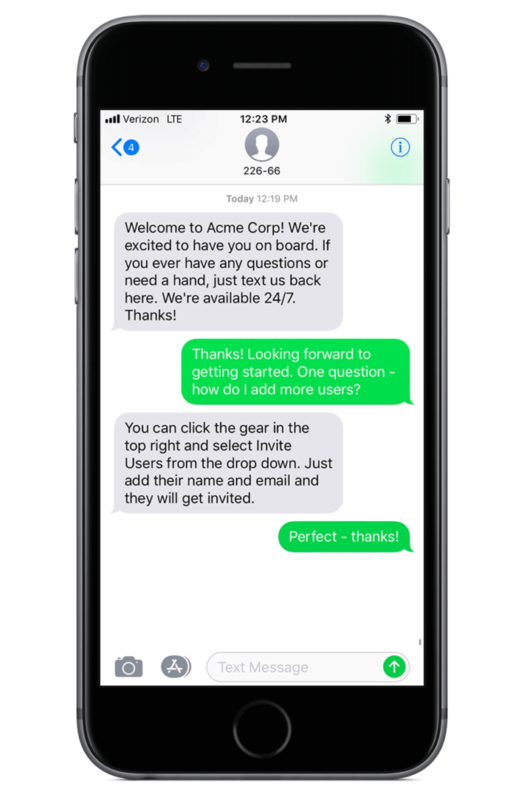 To address this and help our customers drive digital engagement with SMS within their organizations, we launched a new feature that enables teams to automatically send a welcome text message to every new customer as they get onboarded to your products or services. By getting your support SMS number in front of your customers from day one, they become familiar with texting you for help rather than calling. And you’re not just hoping they find your SMS number on your website, you’re proactively delivering a personal welcome message to their inbox. Customers can then easily save your SMS number in their phone so they always have it on hand whenever they need help. Once your customers understand that you have SMS support available, it makes it easier to have seamless bi-directional communication through every conversation. 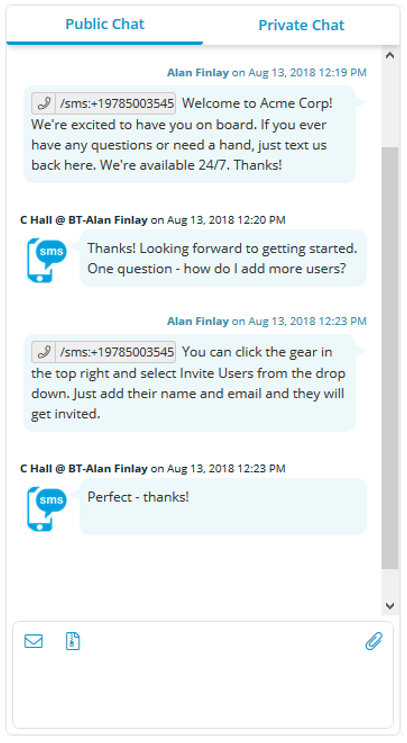 For example, if you’re chatting with a customer on your website or talking to them on the phone and they need to leave their computer or hang up, you can seamlessly move the conversation to the text message with a single click. This is true omnichannel support. This seamless channel switching makes your customers feel like they are always in contact with you and don’t need to be tied to a computer or phone to get their questions answered. All conversations are single threaded in one place for easy oversight by your support agents. Are you looking to increase efficiency and customer satisfaction by adding SMS as a support channel for your operations team? Setup is easy and only takes a few minutes. Let us know if you would like a live demo.